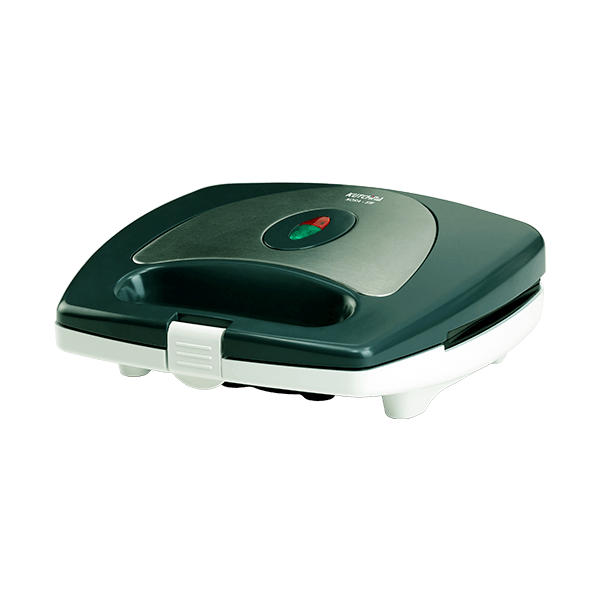 Preparing mouth-watering and healthy sandwiches becomes easy and quicker with Kutchina Nora SW sandwich maker. This model has a capacity for 2 sandwiches. The non-stick coating on the heating plates of this model ensures easy grilling and heating. Using this appliance is very easy. Just place your sandwiches on top of the plates, close the lid, and lock the handle. The innovative heating element provides faster heating to quicken your sandwich grilling/heating time.